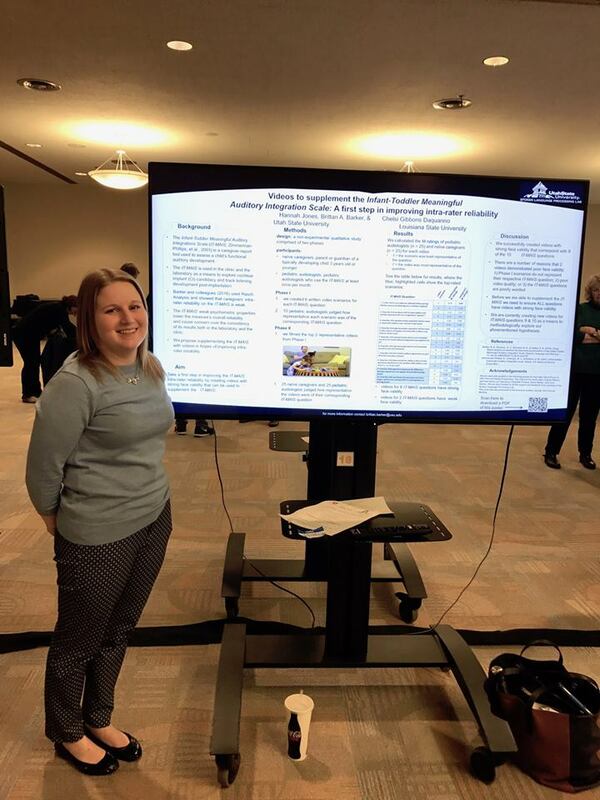 Today some of our resident graduate students, Shea Long and Hannah Jones, spent the day sharing data from their clinical research p rojects at the 3rd Annual Regional Audiology Spring Symposium at Idaho State University. Hannah shared her work combining video with interview questions with the hopes of improving intra-rater reliability on the Infant-Toddler Meaningful Auditory Integration Scale. Shea shared her research exploring acoustic cues across different talkers voices that may ultimately be exploited to facilitate speech understanding in difficult listening situations. It was a great time sharing work with other graduate-student researchers from University of Utah and Idaho State University. Next year is USU’s year to host, so mark your calendars! We’re proud to have had these amazing scientists in Idaho representing work from our lab at USU.